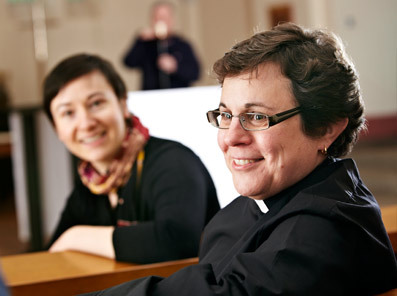 Men and women come to our college to prepare for ordained ministry in the Church of England, in our sister churches within the Anglican Communion, or in other churches with which the Church of England is in full communion. Their training is referred to as ‘formation’. These ordinands are preparing to put themselves at the service of the church, not only in a ministry which is rooted in baptism but also in diaconal and priestly ministry. 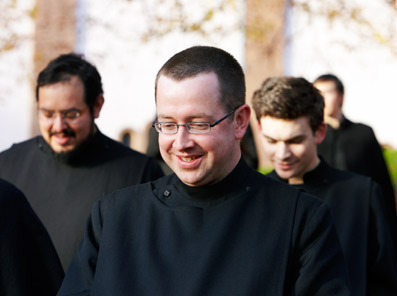 Mirfield’s careful interweaving of academic study with the monastic rhythm of life creates a uniquely holistic atmosphere in which to develop both as a person and as a future priest. Every student will face their own personal challenges here as they focus on becoming the person God has called them to be: you can expect to change even as we prepare you to go out and effect change. 4. Ministry in the Church of England, mission & evangelism, leadership & collaboration. We stand for an expression of the Anglican faith which is catholic, open and hospitable. We strongly affirm the ordination of women, and welcome students from a wide spectrum of theological traditions in the Church of England and across the Anglican Communion – liberal and conservative, evangelical and catholic. We’re delighted to welcome students from other countries, cultures and Christian traditions,valuing the rich diversity and wider horizons which they bring with them. We form priests with a deep commitment to the Church of England’s life and faith, who are ready to serve in a variety of contexts.We stand within a heritage of commitment to mission in the UK, in southern Africa, and across the world; our ordinands are shaped for evangelism, for the service of others, and for Christian engagement in public life. Formation for ministry is only partly about gaining new knowledge and acquiring proficiency in a range of skills. Vitally, it is also about learning to be ourselves in a new way – about the formation of our characters. That’s why we bring together worship, academic study, supervised practical ministry and reflection, creating a fully integrated programme of formation which prepares candidates spiritually, intellectually, practically and emotionally for their future ministries. During term-time, students spend time in church, in classes,in academic study in the library, and on parish and sector attachments. They usually live in the college’s residential community, alongside others with a wide range of approaches and experiences. In the summer, students undertake full-time ministry and mission placementsat home or abroad. If you have a specific question or would just like to chat through your options, please do call us or contact us.